Apart from the regular Essences polishes, I haven't tried any of these specific products. The *Essence Gel Nail Polish in Blue Bubble Di Blue is a perfect shade for summer, it applies so well as all Essence polishes do. I used the *Essence Gel Base Coat and *Essence Gel Topcoat but sadly the longevity wasn't fantastic as I experienced chipping and tip wear after three days however I do like Essence polishes on the whole and for the price they are definitely worth a try! Also the polish looks so shiny, it is almost plastic looking! The first makeup product I tried was the *Essence Soft Touch Mousse Makeup (04 Matt Ivory) which I have to say, isn't 'Ivory' but it is the only Essence foundation that almost matches my very fair skin! The foundation feels so spongy and bouncy, it's very strange to touch but it applies quickly and easily with fingers, a brush or a sponge. The foundation gives a skin like finish although it can sometimes highlight flakiness/dryness so a sponge is best in my opinion. I actually love this foundation, it isn't very dewy as all of my other foundations are but it gives a natural, light/medium coverage and it works really well on my sister combination skin too. The next product I tried out was the new gorgeous *Essence Sun Club 2 in 1 Bronzing Powder (10 Sunshine) which is a bronzer and highlighter in one compact. You probably won't be able to see it on my skin in the before and after photos above as the highlighter and bronzer are both natural and subtle which is amazing for my very fair skin. This product will definitely be a staple in my summer makeup bag! To carry on with the pretty, natural bronze look I used the *Essence Metal Glam Eyeshadow (15 Hello Goldie) which sadly smashed in delivery but I was still able to use the remains. The shade is a gorgeous metallic golden beige shade. To finish the eyes, I used the *Essence Plump No Clump Mascara (black) which is one of the very few Essence mascaras I haven't tried and it has to be one of my faves! It is more on the natural side but it is very black, it doesn't clump, it gives great length and volume however it doesn't hold a curl too well. Finally, the lips and Essence lipsticks are some of my favourite products from the brand. I have the shade '07 Natural Beauty' and it's a perfect my lips but better shade with pink undertones. I use it on a regular basis and I would definitely recommend Essence lipsticks. Overall, I am so impressed with the foundation, bronzer/highlighter, mascara and I have always been a fan of their mascara and polishes. Essence is definitely one of my favourite cheaper brands but even though the price is low, the quality isn't compromised! 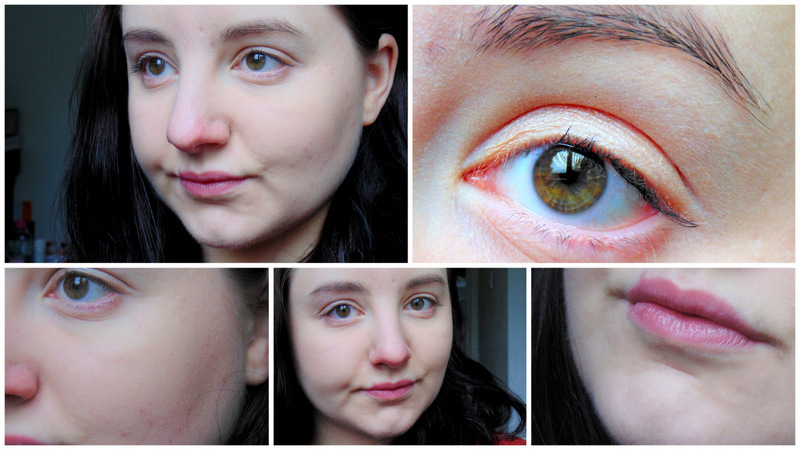 What do you think of my natural, bronzy summer look ft. Essence? What are your favourite products from Essence? I love Essence too and they have some amazing products! That 2 in 1 bronzer looks really good. I should definitely try it! All of your bits look so lovely! I still need to try this brand out! I love Essence too! It's a great way to try out a new trend without spending a lot of money. I'm really liking their lipsticks lately. The nail polish is such a great idea. I will have to check it out next time I am near an essence. great review! 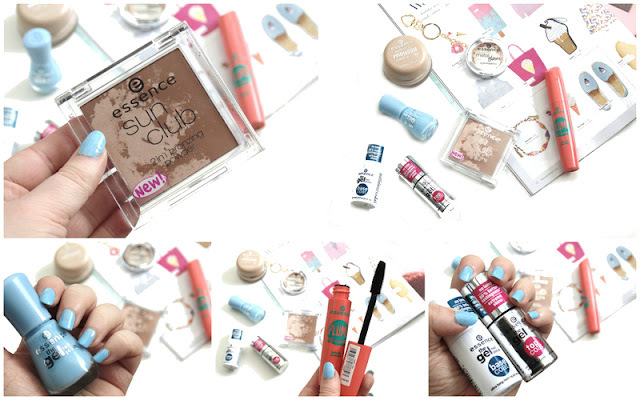 I want to try some of the essence polishes and I'm planning on picking up a bronzer soon! The foundation creates a really nice finish and looks so natural. The natural look is amazing! Essence really has quality products. Thank you for the review.